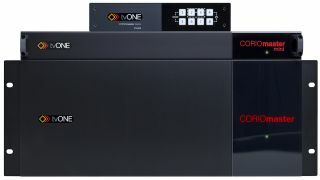 tvONE plans to introduce a new, enhanced CORIOmaster video wall processor at DSE 2019 in Booth 1118. During the show, the company will also feature new HDMI 2.0 products—including active optical cables and a new series of distribution amplifiers. The HDMI 4-port output upgrades the C3-540 CORIOmaster to up to 56 outputs to create massive video walls, projector edge blends, and LED installations. The new embedded audio support and audio module ensure the CORIOmaster is designed for situations when integrators need both video and audio in an installation. The IP streaming module now accepts both H.264 and H.265 (HEVC) for higher quality and increased bandwidth performance, and includes a low latency mode. Magenta’s new HDMI 2.0 products supporting video resolutions up to 4Kx2K@60Hz 4:4:4 HDR and providing 18 Gbps of high bandwidth. The MG-AOC-66x series of active optical cables provide a simple, robust solution for extending ultra-high resolutions over long distances. This reliability is also available in DisplayPort 1.4, (MG-AOC-88x) supporting resolutions up to 8K/60. Both variants are available in plenum and non-plenum versions. Also showcased at DSE 2019 will be the MG-DA-61x series, which the company says provides a high-performance solution for distributing HDMI signals in an ultra-compact form factor.